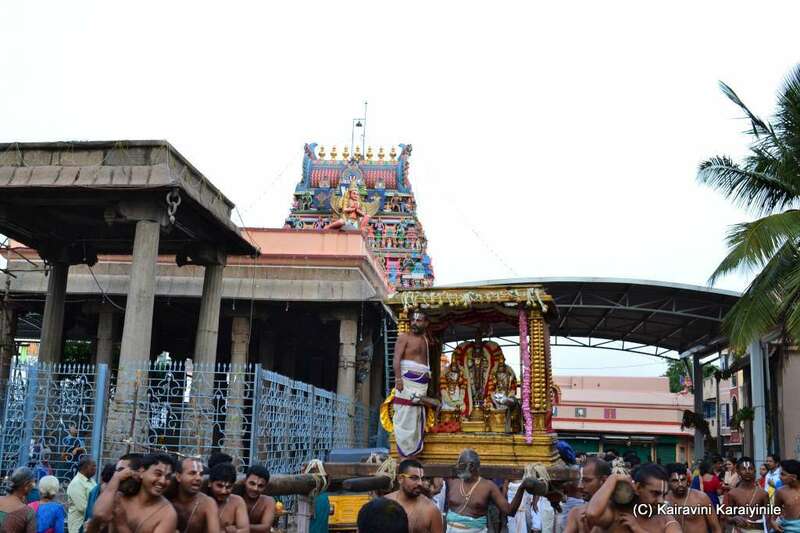 Thirumazhisaimannan says - the days in this earthern land pass being cut short by sword, afflicted by illness and infirmity. When death hangs low and close, the heart should realise that goodness lies in knowing the good and serving the holy feet of Sriman Narayana, who only can grant us the permanence – a life without return to this earth. 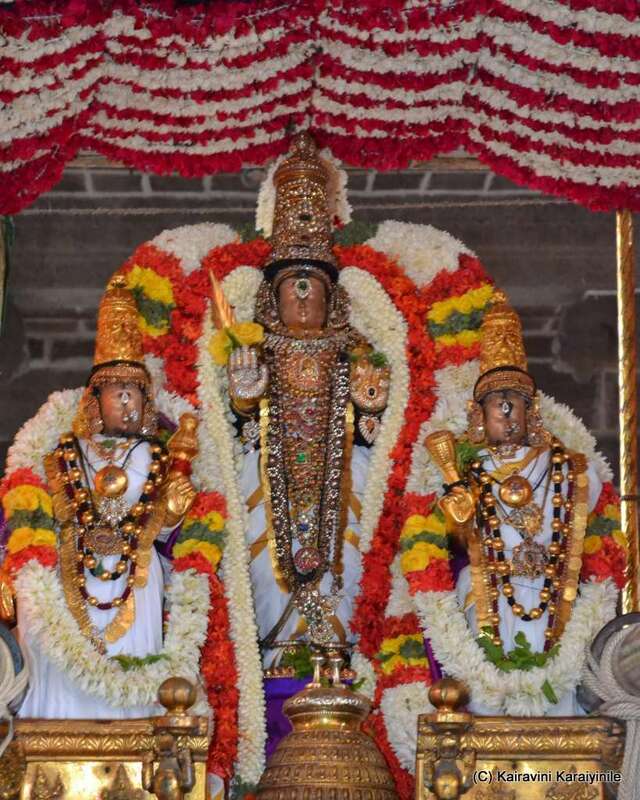 Today [1stJuly 2015] is the 6th day of Brahmothsavam at ThiruvallikkeniDivyadesam for Sri AzhagiyaSingar. 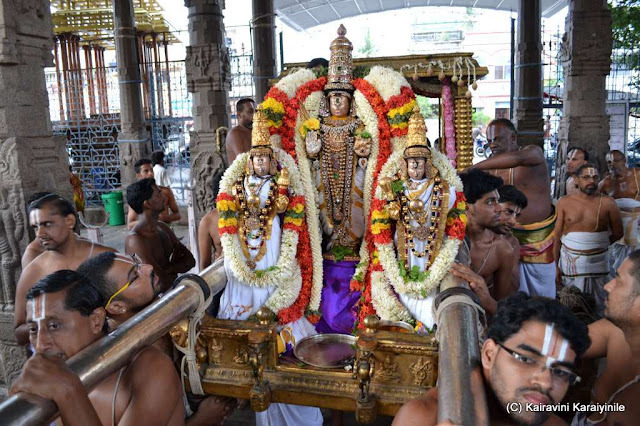 This morning after ‘Choornabishekam’, Sri ThelliyaSingar hadpurappadu in ‘Golden Chapparam’. In the purappadu, ‘ThiruchandaVirutham’ composed by Sri ThirumazhisaiAzhwaar was rendered. 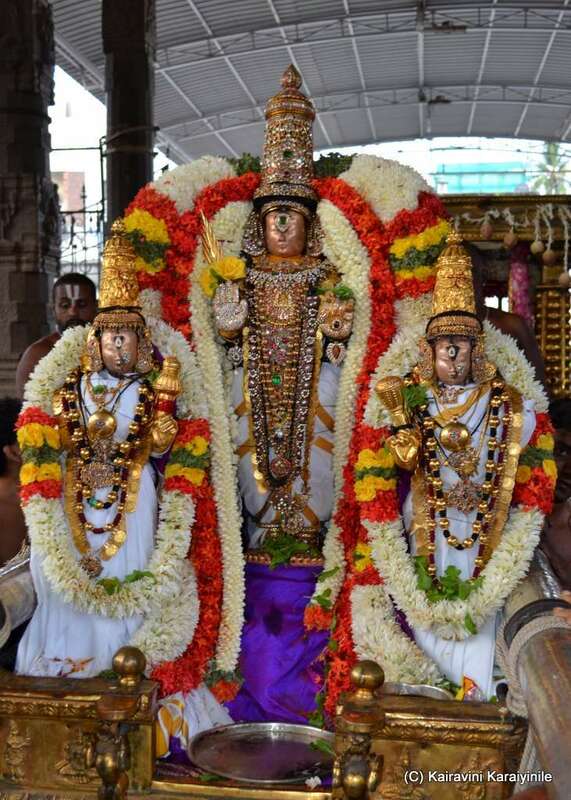 These 120 songs are categorised under ‘viruthapaa’ – they are replete with numbers and fall under a specialized category of tamil grammar called ‘ennadukkicheyyul’. Some photos taken during the morning purappadu are here.